Discussion in 'Tokens-Miscellaneous' started by adamgdev, Sep 6, 2018. Bounties have long been popular in crypto. They’re mostly associated with creating rewards and incentives for people to get the word out about an ICO or coin. You can find bounties for everything from Telegram referrals, to YouTube posting, to meme creation. Even with some negative backlash to marketing bounties, I ultimately think there’s a place for them. However, there’s always been a dearth of true development bounties. FundRequest addresses this with a GitHub-integrated issue funding platform. Anyone can fund any issue on Github (if you’re interested in how this works, I made a quick demo video or read Adam’s article on the subject). Tight platform integration is key to FundRequest. And it comes with several strong advantages over “traditional” bounty apps. Less Issue duplication/redundancy. Use the existing issue tracker on Github. no need to transcribe the issue into multiple locations. Development issues only. Since only GitHub issues can be funded, you won’t have to filter out all the spammy bounties when browsing the bounties list. Easy submitter verification. Issues and resolutions are linked to GitHub accounts. Less counterparty risk. A developer can only claim the funds if the issue has been resolved on GitHub. FundRequest assigns the funds to the GitHub account that submitted the code change that resolved the issue. In this way, FundRequest is able to leverage GitHub’s widely adopted flow for the tricky business of sorting out when an issue is actually resolved, and who resolved it. FundRequest also has nice integration with crypto projects. Any project can fund issues with their custom token, allowing projects to further develop incentives turning open source bounty hunters into project stakeholders. It’s currently free today — projects can apply here to harness the power of open source developers. ExchangeUnion offering XUD for issue resolution. 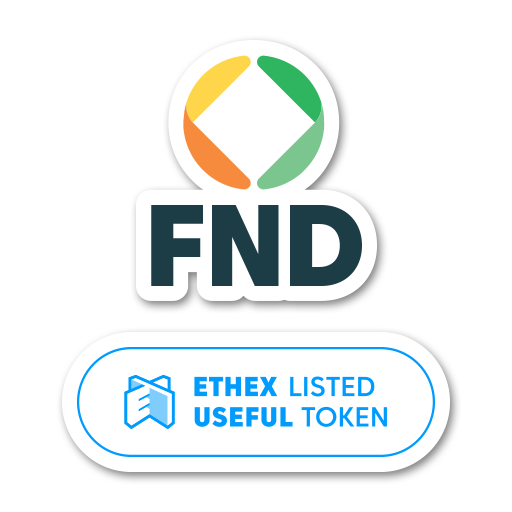 FND is a useful token listed on Ethex. It joins the ranks of tokens like BAT, REP, and DAI as a functional token that can be used right now for real world applications. Visit the FND marketplace and get started funding issues, or exchange any FND you’ve earned for ETH. Thanks to adamgdev , Taylor Overton, Jordan Randolph, and Tim Dierckxsens.